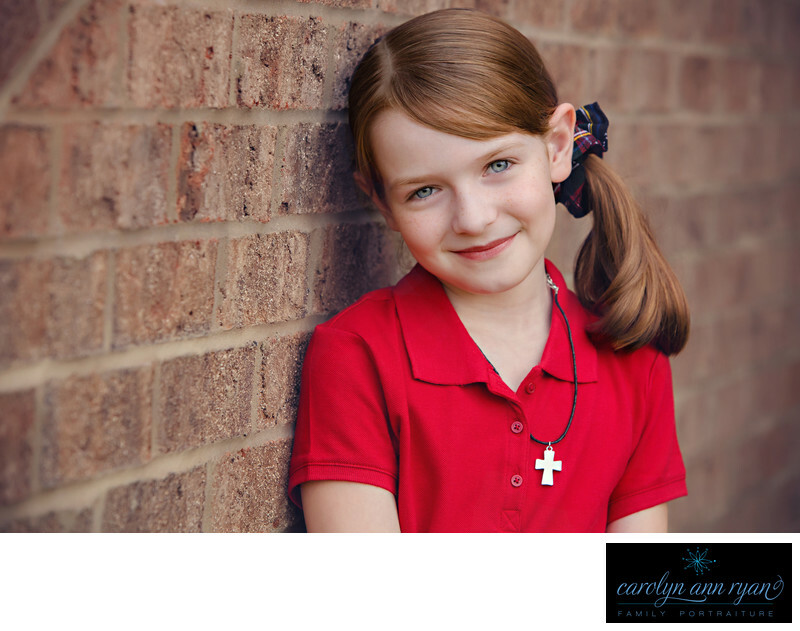 I love photographing my children for Back to School Portraits. We had just relocated to Charlotte, North Carolina and this is my daughter's first day of her new school. I just loved the brick wall backdrop from our new home and her gorgeous, smiling blue eyes. I can't begin to imagine the adventures that await her as she begins school this year, but I know she will make new friends quickly. We are so excited for school to begin, so my children can get settled and into a routine, but I will forever remember the sweetness in her smile in this moment in time - the day before school begin here in Charlotte, North Carolina. Keywords: back to school (12), brick (18), girls (165), red (51), Summer (69). 1/320; f/5.6; ISO 1000; 140.0 mm.